Quick opening note: I updated the TCM Tally for March yesterday. I’ve noticed that the Tally updates aren’t mailing to most subscribers, so I wanted to be sure to link to it prominently HERE. TCM’s “31 Days of Oscar” finished up late March 3 and so as of today, March 4, we return to our regular Turner Classic Movies programming. Mary Astor is Star of the Month, which means a lot of ‘30s movies (as the tally told). TCM’s Friday Night Spotlight is back, this month with a focus on “Food in the Movies,” a theme which apparently lends itself to more recent classics. The "Carson on TCM" feature also returns this month with 25 new installments playing between 8 and 9 pm EST every Tuesday night throughout March. 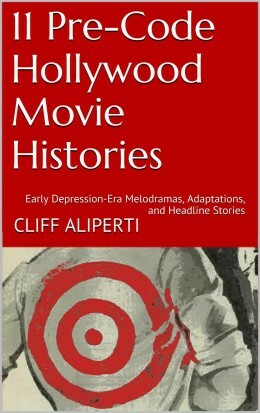 Daytime themes include two birthday tributes that I’m especially excited for, a Betty Compson marathon throughout the day March 19 and a Louis Wolheim marathon at the end of the month, March 28. Time to take a day-by-day peek at March on TCM with my personal recommendations as well as links back to relevant reviews or articles I’ve posted in the past. While I feel like TCM runs a John Garfield (1913-1952) birthday celebration every year after “31 Days of Oscar” winds up, that’s just fine. Favorites among the nine Garfield movies TCM plays during the day of March 4 include Four Wives (1939) at 7:30 am; They Made Me a Criminal (1939) at 9:15 (remake of 1933’s The Life of Jimmy Dolan); Out of the Fog (1941) at 1:45 pm, and The Sea Wolf (1941) at 3:15 pm. “Radio Days” is the daytime theme for Wednesday, March 5 during which I recommend Are You Listening? (1932) with William Haines, Madge Evans and Karen Morley as the ultimate nag at 8:30 am; Later that day it’s Ginger Rogers in Professional Sweetheart (1933) at 6:30 pm. The Mary Astor movies begin at 8 pm on the 5th and run for 24 hours. A few titles I’ve covered play during this first 24 hours, including Dodsworth (1936) at 8 pm; set your DVRs for a ghastly Astor making life difficult for entrepreneurial Paul Muni (”Iceboxes on wheels!”) in The World Changes (1933) at 3 am; Thursday afternoon at 3:45 pm Spencer Tracy and Lana Turner in Cass Timberlane (1947), adapted from the Sinclair Lewis novel. Other recommended titles playing during this first run of Astor films include The Great Lie (1941), which I believe just played during Oscars month, and the wonderful Page Miss Glory (1935) with Marion Davies. I’ve never been a fan of Other Men’s Women (1931), but I know others like it. It plays at 4:45 am. Listen, Darling (1938), at 9:00 am on March 6 isn't very good, but it’s the only feature that co-starred Freddie Bartholomew and Judy Garland, a pairing that should have and was supposed to happen at least once more. TCM places it at the end of Friday, March 7 in Now Playing, but I’d be more inclined to call the 5:00 am start time for Dinner at Eight the morning of Saturday, March 8. Later that morning TCM picks up its run of the Hildegarde Withers’ series of movies with Murder on a Bridle Path at 10:30 am. TCM is preempting scheduled programming on Sunday, March 9 beginning at 4:30 pm EST to play an eight-movie salute to the late Shirley Temple. Full details at TCM.com. Of the movies showing I wrote a little bit about Bright Eyes (1934) recently during my own Temple tribute. The Sea Wolf (1941) receives an encore presentation just after midnight, Monday, March 10, when it plays at 12:15 am. Just before it is a movie that entered a recent Twitter conversation, The Sea Hawk (1940) with Errol Flynn at 10:00. Sneaking in a Warren William-alert at 10:30 in the morning, Tuesday, March 11 with Living on Velvet (1935). Warren is pushed to the background by George Brent and Kay Francis in the movie that provides a fun moment in Brent mocking Kay’s lisp, but didn’t serve up too many other thrills as my (biased) memory recollects. Wednesday, March 12 will likely be one of TCM’s most popular days in March because of an eight-movie William Powell marathon playing between 6:15 am and 6:45 pm. They aren’t the traditional Powell selections and include only one of what I’d consider his top films, that being One Way Passage (1932), which opens up the day at 6:15. The rest of the March 12 schedule: High Pressure (1932) is a goodie at 7:30 am and I like Private Detective 62 (1933) following at 8:45 am. Then things get a bit iffy with Rendezvous (1935) at 10 am; Reckless (1935) co-starring Jean Harlow at 11:45 am; The Emperor’s Candlesticks (1937) at 1:30 pm; a Myrna Loy pairing in I Love You Again (1940) at 3 pm (I do enjoy that one) and The Heavenly Body (1943) with Hedy Lamarr at 5 pm. Round 2 of Mary Astor opens with The Maltese Falcon (1941) at 8 pm on the 12th. John Ford’s The Hurricane (1937) plays at midnight, though I’m most looking forward to The Man with Two Faces (1934) at 6:45 the next morning. I’ve seen it, but it’s been awhile. Another pre-Code classic tucked deep into the Friday night/Saturday morning schedule with The Public Enemy (1931) playing at 4 am on Friday, March 14 (or Saturday the 15th if you’re an early riser). Big titles playing on Sunday, March 16 include After the Thin Man (1936), the second entry to the series with James Stewart, at 6 pm, and Tyrone Power as Jesse James (1939) at 10 pm. No surprises during the Monday, March 17 St. Patrick’s Day schedule, though I always like to catch Cagney, O’Brien and Olivia De Havilland in The Irish in Us (1935), playing this year at 7:30 am. For myself, the most intriguing day of programming throughout March comes on Wednesday the 19th with TCM’s Betty Compson (1897-1974) birthday marathon. TCM is playing all talkies with Compson, though the actress began her career in 1915 and is best remembered for Silent performances such as in Josef von Sternberg’s The Docks of New York (1928) and George Fitzmaurice’s The Barker (1928), which earned her an Academy Award nomination for Best Actress in a leading role. I don’t believe I’ve seen any of the eight Betty Compson titles that TCM is playing on the 19th, and since seven of those were released between 1929 and 1931 I’m especially excited for this day. The schedule: On With the Show (1929) at 8:15 am; Street Girl (1929) at 10:15 am; Weary River (1929) with Richard Barthelmess at 11:45 am; Inside the Lines (1930), a World War I spy movie, at 1:45 pm; The Gay Diplomat (1931) at 2:45 pm; The Lady Refuses 1931) at 4 pm; Three Who Loved (1931) at 5:15 pm; and the one later title, Mad Youth (1940), at 6:30 am. When the Betty Compson movies wrap up the third, nearly 22 hour, grouping of Mary Astor movies begin with the Preston Sturges favorite The Palm Beach Story (1942) at 8 pm. That one plays all the time so I’m going to much more heartily point you to the feature playing at 9:45 pm, The Lost Squadron (1932), an interesting tale of World War veteran fliers turning Hollywood stunt men featuring Richard Dix, Joel McCrea and Hugh Herbert as the fliers, Erich von Stroheim as their villainous director (who else?) and Astor in what is admittedly a small role as love interest. Other titles of interest airing during this round of Mary Astor movies include William Powell as Philo Vance in The Kennel Murder Case (1933) just after The Lost Squadron at 11:15 pm; William Boyd and Louis Wolheim, who we’ll have more on shortly, in Lewis Milestone’s Two Arabian Knights (1927) at 4:30 am; Don’t miss A Successful Calamity (1932) with George Arliss at 6:15 am on Thursday, March 20. Arliss is best remembered for his historical portrayals, and rightly so, but I never enjoy him more than I do in a good comedy, which A Successful Calamity is. The Little Giant (1933) with Edward G. Robinson follows at 7:45 am. I’m especially looking forward to Frank Capra’s big budget Dirigible (1931) at 10:15 pm on Thursday the 20th. I’ve yet to see this one but after having dug so deep into the films of 1931 recently I know what an advertising push Columbia put behind this title. TCM sticks to the air that night and at 2:00 am you can catch Ben Lyon and James Hall with Jean Harlow in Howard Hughes’ own big budgeter, Hell’s Angels (1930). TCM’s theme through the day of Friday, March 21 is “All the Single Ladies,” which apparently loans itself to a bunch of otherwise unrelated movies that I really enjoy! Female (1933) with Ruth Chatterton begins the day at 6:00 am and is followed by Goodbye Again (1933), with Warren William, Genevieve Tobin and Joan Blondell, at 7:15 am. Ann Harding and Robert Montgomery star in Biography of a Bachelor Girl (1935) at 8:30 am; Ginger Rogers and David Niven in the classic Bachelor Mother (1939), with hilarious Charles Coburn, at 10 am. We’ve been talking about Shirley Temple a lot lately, so don’t miss her first big one at the home studio in Fox’s Bright Eyes (1934) playing at 10:00 am on Sunday, March 23. It plays just after MGM classic Wife Vs. Secretary (1936), which comes on at 8 that morning. Errol Flynn is Custer in They Died with Their Boots On (1941) at 9:45 am, Monday, March 24. TCM celebrates the birthday of David Lean (1908-1991) during the day on Tuesday, March 25. I’ll agree with Ben Mankiewicz and point to the first movie playing that day as my favorite, Brief Encounter (1945) with Celia Johnson and Trevor Howard. 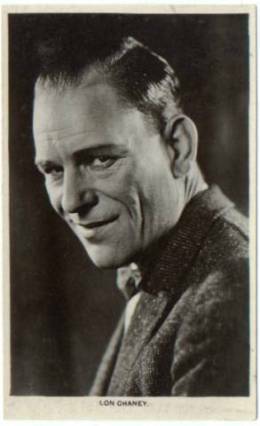 “Adventure Time” is the daytime theme for Wednesday, March 26 and it opens strong with Lon Chaney and Lionel Barrymore in the sleazy West of Zanzibar (1928) at 7 am (remade as the talkie Kongo with Walter Huston in 1932) and Johnny Weissmuller and Maureen O’Sullivan in the classic Tarzan, the Ape Man (1932), first entry in the Weissmuller series at MGM. More big budgets at work in Trader Horn (1931) after that at 10 am, but I’ve always found that one a bit of a snooze. That same night the final grouping of Mary Astor movies begins at 8 pm with Little Women (1949) and finishes up the next day with Astor’s brief but dark role in the classic film noir title Act of Violence (1949), playing at 4:00 pm on Thursday, March 27. In between is an encore performance of pre-Code essential Red Dust (1932) at 12:30 am (It also plays March 9 at 10:30 am); the slightly disappointing Men of Chance (1932) at 2 am; and a group of titles I’ve written about on this site or on my Warren William site: Smart Woman (1931) at 6 am Thursday, followed immediately by The Sin Ship (1931), that one starring and directed by Louis Wolheim, and then a pair of titles starring Warren William, Upperworld (1934), with great stuff from Ginger Rogers, at 9:00 am and William as Perry Mason in The Case of the Howling Dog (1934) at 10:15 am. At the end of the Mary Astor run TCM uses Act of Violence to set up a Van Heflin double-feature continuing with The Outcasts of Poker Flat (1937) at 5:30 pm. If I’m most intrigued by Betty Compson-day then I’m most excited by TCM’s celebration of Louis Wolheim’s birthday on Friday, March 28. This time I’ve seen them all and so I’m excited to type out the schedule in full: The 1920 version of Dr. Jekyll and Mr. Hyde starring John Barrymore at 6:45 am; D.W. Griffith’s Orphans of the Storm (1921) with Lillian and Dorothy Gish at 8 am; Barrymore again, as Sherlock Holmes (1922) at 10:45 am; Wolheim as mob boss in silent gangster classic The Racket (1928) at 12:15 pm; The Ship from Shanghai (1929) at 1:45 pm; The Silver Horde (1930), the clunker of the bunch, at 3:00 pm; exciting railroad movie Danger Lights (1930) at 4:30 pm and the wonderful Gentleman’s Fate (1931) with John Gilbert at 5:45 pm — I am planning to cover this title on the site some time during March (Just in time--the post is HERE). Also, be sure to watch or record the two Wolheim movies playing earlier in March on TCM as they’re both excellent and important titles. Those were Two Arabian Knights on the 19th and The Sin Ship on the morning of the 27th, each playing during Mary Astor marathons. I’ll make brief mention mention of Executive Suite (1954) playing on Saturday the 29th at 8:15 am and His Girl Friday (1940) that night as the 8 pm TCM Essential; The Lady from Shanghai (1948) at 12:15 pm on Sunday the 30th and Of Mice and Men (1939) late that night at 3:45 am; Finally Angel and the Badman (1947) at 8:00 am on Monday, March 31, as a few favored classics, but I more or less wanted to keep that Louis Wolheim schedule near the bottom of the page. Kristina's March Viewing Guide has already posted with links to TCM Previews from many other classic film bloggers. If Betty Compson and Louis Wolheim don't excite you as much as they do me, then you might find some of the other previews more to your taste. I'm currently working on a detailed review of I Married a Doctor, Warner Bros. talkie adaptation of Sinclair Lewis' Main Street, which I read as part of my research from this post. As mentioned above I also hope to discuss Gentleman's Fate with John Gilbert and Louis Wolheim before it plays for Wolheim's birthday. And I'm sure there will be a few other topics cropping up throughout March as well. TCM's Star of the Month for April will be John Wayne. The John Wayne movies will air nightly throughout a single week during April instead of one night per week as TCM does for most other selected stars. I believe they last tried out this format for Doris Day and, to be honest, I wasn't a fan of how it played out. Still, TCM rarely lets me down, so I'm sure April will provide plenty of nice surprises once I take a better look at the schedule. Pleased to see “Goodbye Again” in the line-up as that tickles my funny bone immensely and they rarely screen it. Arliss is adorable in “A Successful Calamity”. I hope your recommendation sways a lot of folks. Lots to look out for. As always, thanks. I watched Goodbye Again again semi-recently and liked it better than I remembered. I think we did the job for A Successful Calamity, at least it looks like Kristina is going to watch (see below). Near the end we attend the premiere of “Dirigible”. I haven’t seen it in ages, but certainly not as far back as the premiere night. Bessie Love–in color! That was quite a leisurely stroll through Hollywood, thanks for posting. 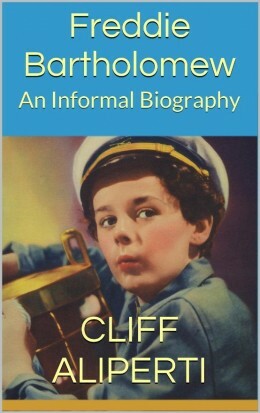 Er, Cliff. Sometimes my brain crosses wires late at night. Danny, I’ll talk to you on Twitter. Kristina, if I had any complaint this month it’d be the complaint of a real spoiled brat as in a perfect world the two Wolheim movies they’re showing during Mary Astor runs would be repositioned onto Wolheim day. I only say that because they’re both important titles for him and he’s not exactly a major presence in some of those best known silents. It’s possible I’ve bumped into a couple of those Compsons before, but off the top of my head I can’t imagine her voice–to the best of my knowledge I’ve only seen her in silent stuff. Very excited for that day!